We can make Made to Measure roller blinds using our designer fabric to your exact requirements, to fit any window size or style. Each of our bespoke curtains can be beautifully made for you by professionals in our traditional workshop based in the UK. They are hand finished with great care and attention and delivered to you well within eight weeks. You can find a useful video talking you through how to measure up for both curtains and blinds by clicking here. 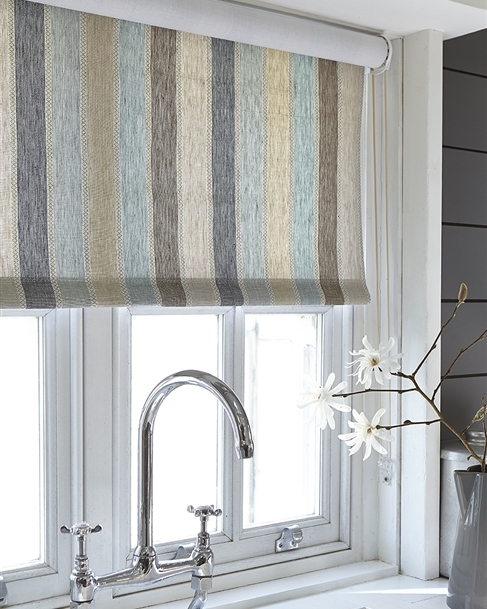 Our made to measure roller blinds are a simple style of blind that works well in kitchens, bathrooms and places where you need maximum light and a more utilitarian feel. We make beautifully crafted, high quality blinds especially for you, in the fabrics of your choice and style for any window. 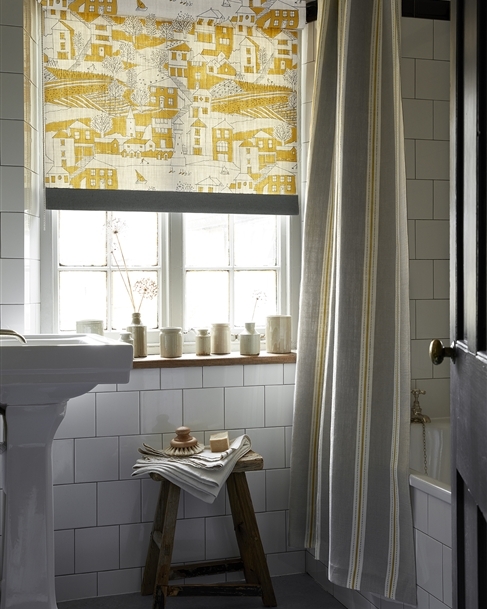 A roller blind is a simple style of blind that works particularly well in rooms where you need maximum light. 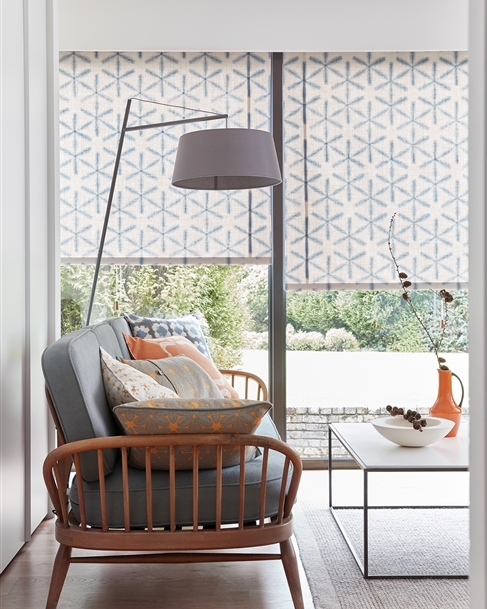 Why choose a roller blind compared to curtains? What are the benefits of roller blinds? Curtains can make a room feel smaller than it actually is; this is because of their bigger, bulkier design. Many people go for roller blinds because they offer a space efficiency solution. They offer a sleek modern option which fits with any home decor. Blinds are generally more cost effective for those of you who are working to a tight budget. Perhaps you are renovating an entire house? Here a minimum spend can result in maximum impact on a room aesthetic. Roller blinds are space efficient and suit a room with a lot of windows. They are particularly useful in windows which are difficult to reach, for example behind a kitchen sink. Here you can have a central pull making the raising and lowering of the blinds easier. 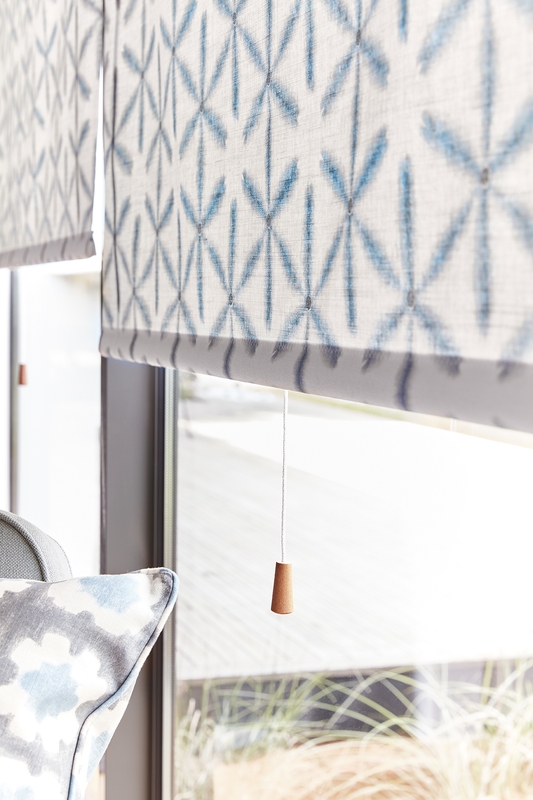 With the introduction of the new pelmet enabling you to hide the roll top and make it look much neater I truly believe blinds will become more popular and could be used in all rooms in a house. How hard are roller blinds to install? The simple answer is not at all. With only two fixture brackets and four screws, you can have your blinds up in less than 30 mins! Installing blinds could not be easier and is perfect for someone who is new to DIY work. You just need a cross head screwdriver, a pencil, a tape measure and a drill. 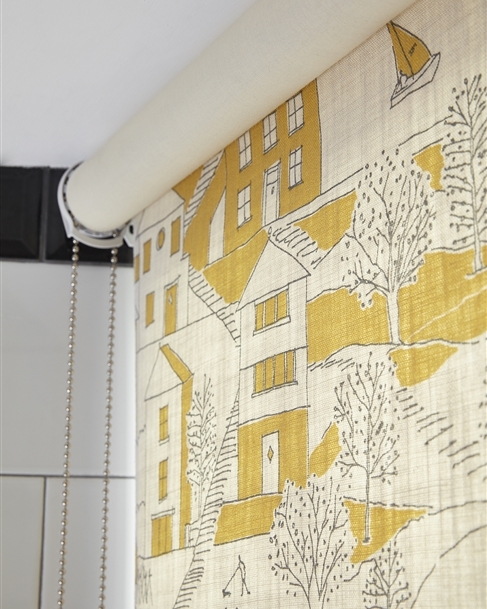 When properly installed, the roller blind will sit neatly inside or outside the window recess. If you would like to hide the top roll from view and it is fitted inside a recess we can now offer a pelmet made to match your blind. Width: Measure the outside of the window recess (see F on diagram) and add at least 5cms on each side to minimise any light leaking through. This also applies to blinds that will be fitted to the outside of a door recess, we only need the width and length that you would like the finished blind to be. Please note that if your roller blind is outside the recess, we have to allow for the mechanism at either side of the roller blind, which is usually 1.5cm each side. 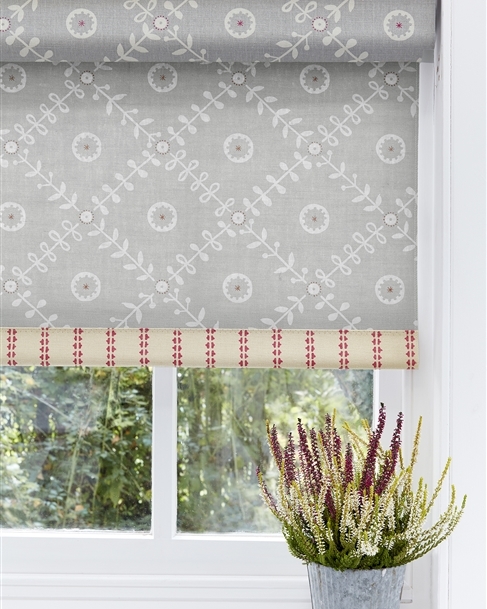 For example, if you want the fabric width of your blind to measure 100cm, you need to specify this upon placing your order otherwise our makers will assume it is the finished width, and cut the fabric down to 97cm with the remaining 3cm for the mechanism, i.e. 100cm full fabric width + 3cm for mechanism, making the finished width 103cm. Your Roller blinds will be delivered ready rolled complete with fittings. Try removing one or two filters by clicking on the icon next to your chosen filters.